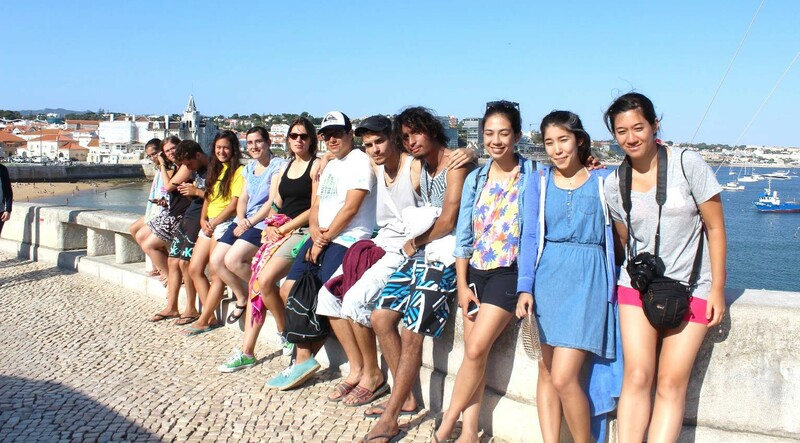 FFWPU Portugal, By Margarida Frazão and Vera Nunes, Lisbon, Portugal, September 5-7, 2015: Our goal is to connect as brothers and sisters (from Portugal and Spain) and also to strengthen our relationship. The Iberian project aims at a cooperation work system that allows us to connect with brothers and sisters from different communities, but with similar circumstances and identical hearts. That’s why the motto “Many Minds, One Heart – Together for a higher purpose” seemed appropriate for this Workshop. We decided that it would be good to understand what kind of things inspire us to live our daily lives as second generation, our culture and faith and what keeps us moving forward. We realized that we need to work hard in order to keep our motivation up. On the first day, after the usual morning HDH, we started with introduction and orientation which was followed by preparation for the outdoor activities. As outdoor activities, we had the opportunity to have fun doing Paddle Surf, becoming a relaxing way to play on the water. We also had the “discussion session activity” about faith, blessing, and other important topics that revealed to be a very precious time – a moment of sharing, reflexing, and connection. And after that, everyone could listen a testimony given by Grace (ESGD), which we are very thankful to have her support on this workshop. Later we also had a very nice team work activity oriented by Elena Loha. On the second day, after HDH, the program started with an interesting testimony and lecture given by André Pereira and Beatriz Lozano about their daily life experiences, the relationship with other people, and about the future of our community. We also had the opportunity to have a Peddy Paper that started with the visit to The King D. Carlos Sea Museum, in Cascais, which allow us to get knowledge about maritime history, the life and environment of the oceans. After the visit, we had a nice walk on the beach and the Peddy Paper ended with a challenge by the sea. The last day was mainly reflection time followed by the ending of the WS and departures.